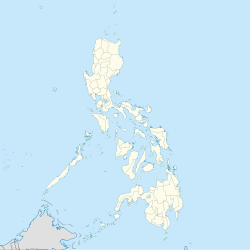 Tulunan, officially the Municipality of Tulunan, is a 2nd class municipality in the province of Cotabato, Philippines. According to the 2015 census, it has a population of 56,513 people. Tulunan, North Cotabato is geographically located at the southernmost part of Cotabato Province. On the north, it is bounded by M'lang; Datu Paglas, Maguindanao on the south; by Liguasan Marsh on the west; by Makilala on the north-eastern portion; and Magsaysay, Davao del Sur in the eastern part. Tulunan has the climate, which is more or less evenly distributed throughout the year and a rainfall ranging from 60 mm. to 215mm. having an average annual rainfall of 115.04 mm. The months of January, February, March and December are marked dry season. All other months have occasional rains. Generally, January and December are the coldest month of the year. The average amount of temperature is 28.25 degree Celsius. The prevailing wind directions comes during wet / rainy season. Typhoon is seldom felt in the area as Tulunan is located outside of the typhoon belt and is protected by small mountains. However, during heavy rains, which cause the overflowing of river like Malasila, Tulunan and Bual Rivers, many crops and structures are destroyed. These heavy downpours occur usually in the month of August and September. Identified places with severe flooding hazards are Barangays of: Damawato, Bual, Popoyon, Tambac, Bagumbayan, Minapan and Dungos giving a total of 1,200 hectares more or less with an equivalent of 3.43% of the total area. This climatic condition negatively affect the productivity of the farmers in the said barangays as floods could not be detected when to occur thus, destroying the crops varying from 50% to 100% of it. The Tulunan is derived from a Maguindanaon word “tulun” which means “a place of abundance” or “where grace fall”. The early settlers of the place were mostly Muslim tribes who settled in the lowlands. The nomadic tribes like the B'laans, Bagobos and Tirurays occupied the hills and mountains. The first system of government was datuism and the first ruling datu of the place was believed to be Datu Enok. With the coming in of the Christian settlers from Luzon and Visayas and the inter- marriages between the new settlers with the inhabitants of the place, a marked increase in the population was noted. In the 2015 census, the population of Tulunan, Cotabato, was 56,513 people, with a density of 160 inhabitants per square kilometre or 410 inhabitants per square mile. Agricultural products like rice and corn, upland rice, legumes, green onions, root crops, tobacco, rubber, vegetables, sorghum and coconuts. Tulio Favali Shrine in Km. 125, La Esperanza, Tulunan, Divine Mercy Shrine in Lampagang, Tulunan. Spring and swimming resorts are also available like Kylex Swimming Pool and Migz Swimming Pool..
Mary Jean Lastimosa - actress, model and Miss Universe Philippines 2014. She placed among the Top 10 finalists in Miss Universe 2014 held in Doral, Florida. ^ a b "Province: North Cotabato". PSGC Interactive. Quezon City, Philippines: Philippine Statistics Authority. Retrieved 12 November 2016. ^ "Province of North Cotabato". Municipality Population Data. Local Water Utilities Administration Research Division. Retrieved 17 December 2016. This page was last edited on 16 March 2019, at 08:57 (UTC).